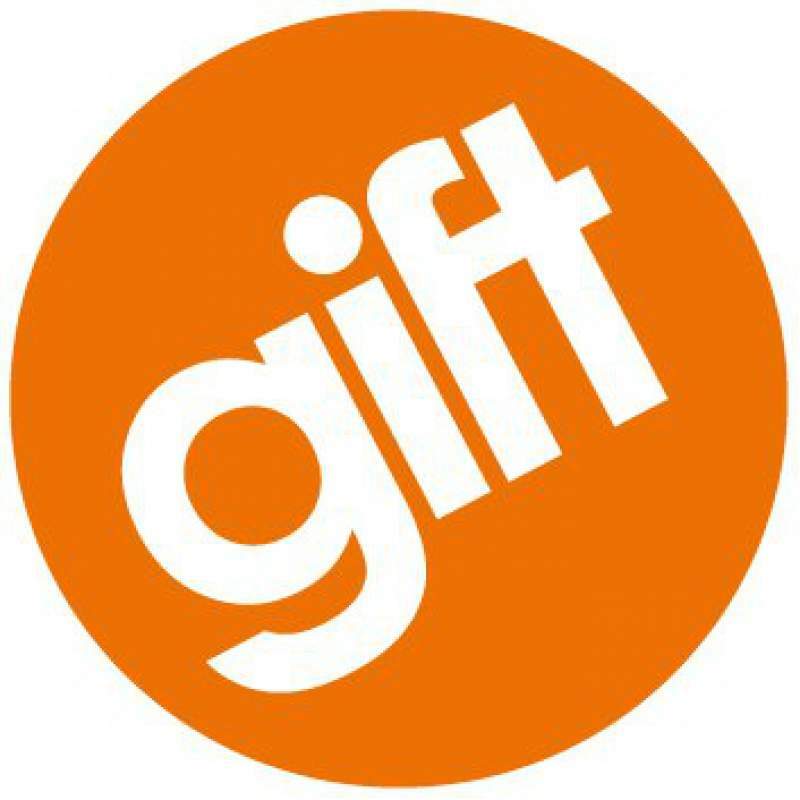 GIFT launched in Gateshead on 28th April, bringing exciting and innovative theatre to Gateshead. Here’s a look at some of what went on, on day two of the festival. My GIFT Saturday started with the Lunch-Time Talk at Prohibition Bar. Chaired by festival-founder Kate Craddock, along other festival performers and organisers, this was a semi-formal chat predominantly about the role festivals can play in the contemporary theatre world, as opposed to, or alongside, regular theatre programming. Questions posed were: what role do festivals play in developing artists? ; what are the networking benefits? ; what are the limitations? and what role do festivals play in developing audiences? Kate explained that the origins of GIFT in 2011 were in response to a perceived lack of contemporary theatre and live art work being programmed in the North East, and inspired by experiences of other theatre festivals across Europe, particularly ACT in Bilbao, and their ability to bring innovative work into new regions. Though there seemed to be general consensus that over the last six years, there has been an improvement in the programming of contemporary work in the region, particularly due to the rise of Alphabetti Theatre, there still seemed to be a level of frustration amongst attendees that the North East is so often off the map for touring artists elsewhere in the country. There was a suggestion in relation to this that perhaps festivals and regular theatre programmes have slightly different jobs; that festivals allow for an element of risk and experimentation that a theatre, with a year round programme and building to upkeep, won’t have the resources or the reach for. In terms of audience building, it was suggested that the festival could perhaps do with a central hub, as the yearly Americana Festival has in SAGE. The frustration for me though is that there is an impression that the commercialisation and competition of producing-house theatres can get in the way of the growth and development of the art-form generally. Venues generally won’t advertise events in spaces other than their own, with the result that a festival such as GIFT which takes place predominantly in pubs and libraries struggles to reach more mainstream theatre-going audiences. This is understandable perhaps, but personally coming from a poetry background, in which it seems to be understood that ‘what is good for one poet or project is good for all poetry’, it’s frustrating that commercial drivers get in the way of camaraderie and communal effort in theatre. Conversely, one attendee of the lunch talk, performer Jamie Wood (whose show O No! is on later today) told an anecdote about chatting to an audience member at a theatre festival once who came every year. This guy told him that he was a plumber and that theatre had never been on his radar, until a mate had been along to the festival in question one year and had a great night. Now, this guy says, he comes back every year. ‘Do you go to theatre the rest of the year round?’ Jamie asks him. ‘Nah, it’s not my thing.’ The argument being that while festivals might struggle to reach a particular theatre-going audience, they perhaps provide a scene for people who wouldn’t usually be involved, which felt encouraging. Talk also turned to the future of GIFT, which has its funding back this year for the first year since 2014. New relationships formed with Baltic seem to be a plus and feels like, while the difficulty remains getting the word out, the festival has much life in it yet. The first show I saw on Saturday was Something Terrible Might Happen by Uncanny Theatre at Central Bar. A show about different responses to Fear, this was a mix of performance styles and tones put together by a company with a variety of backgrounds, from live art, to storytelling to theatre. On the whole, it felt to me like the meld worked pretty well. Part game-show theatre, part confessional narrative, the piece was highly interactive. Before the show, we are asked to vote for what scared us most by dropping a marble into one of several boxes marked with apocalyptic scenarios such as ‘Nuclear War’, ‘Robot Uprising’, ‘Climate Change Disaster’ etc. We were then asked to sign a health and safety waiver, (though in a way which suggested that this wasn’t because of actual serious risk of harm but because it would become part of the show) before being ushered into the performance space; a small top room of the pub in which there was a single brown door – Number 13, and some electrical tape markings on the floor. In amongst the silliness there were also passages of talking head narrative in which the cast members described situations in which they had felt Fear – an account of being in bed whilst a burglar roamed one company member’s house, for instance. These were perhaps the least convincing sections for me. It certainly felt like the piece needed the variation of tone that they offered, but I wonder whether that could have been achieved in a way that remained integrated in the subversively confrontational scenario and world that the piece otherwise established. Overall, well-worked daftness with an edge of threat and a lot of nervous laughter was what I took from the piece and enjoyed most. A game of knocky-knocky nine doors in which one audience member knocked on the door and had to run back to their seat and, along with the rest of the audience, hide behind pictures of cars put me in a mood of giddy adolescence which fitted the goings on. The work also seemed to be making a comment on prejudices and the narrowness of fear by intermittently holding up cartoon Guess Who pictures and asking us to vote for who we were most wary of, before eventually turning the game on us. It felt perhaps that the ending could have been stronger, that it maybe needs one more scene to summarise and tie the proceedings off. It was also pointed out to me afterwards that there’s possibly a need to tighten political awareness around playing with stereotypes (one scene depicting a ‘typical teenage thug’ in particular), but all in all I found the piece to be a lot of fun and I’d certainly go again. Unfortunately I wasn’t able to make it along to the Late Night Lip Sync Cabaret, meaning that my last show of Saturday was Blow Off by Julia Taudevin. Blow Off is a punk-esque solo-theatre-show-with band ‘about a woman intent on blowing the patriarchy sky high’ which she does by walking into her office block with 500 lbs of explosives in her bra. Which seems like a lot of explosives to fit in a bra, but there we go. Nominally ‘half play, half punk-rock gig’, Blow Off was highly dramatic and theatrical – overly so. Unfortunately for me it didn’t quite feel to me like it worked as either punk gig or play. The performance style seemed to be aiming for a Karen-O/Deborah Harry wildness but Julia, though equipped with a strong voice, tended to over-egg the punk pretence. There were moments where I felt a hope of connection – points where she dropped the level and slightly and actually talked to us were highlights, but she started at energy level 11 and, staying there for most of the show, didn’t seem to have left herself anywhere to go. This got in the way of the story. It felt like there was a story in there, and possibly an interesting one, but it was difficult to divine amongst a script laden with quick fire repetitive passages and a scatter-graph of clashing images and mixed metaphors which felt like someone trying to wing their way through Beckett’s Not I – without really knowing the script. Aiming for frantically poetic, the text fell short of actually describing much, seemingly deliberately. Presumably in a bid to make the story universal and inclusive, scenes and people were presented with an assumed collusion or prior knowledge; far from throwing the audience straight into the world of the story, however, lines such as ‘she walks down the street, that street, you know the street, you’ve walked down it’, or references to the woman with purple hair, no orange hair, with a face etc. came across as alienating, baffling and eventually just boring. As I say, there were moments. And it feels like Julia Taudevin has a lot to say. But I left asking myself why? Why the band? Why the punk setting? Why not just tell the story? It was angry, certainly, and hell bent on destruction, so I guess there’s a link to punk there. But for me, I feel that punk at its best is about connection and communion with a room of people, be that through anger, rage, octave-jumping screeching, whatever – it’s about communicating a feeling directly. In contrast to this, from the beginning of the show, it felt like Blow Off built a fourth wall through which Julia screamed at us in our seats, hammering on the glass, but refusing, for the most part, to step outside of the cage and actually tell us something. I suppose in that sense, it felt a little self-indulgent. The music was decent, if safe, and if I was being kind I suppose at points the effect described above was, now and again, like watching a lion stride fiercely around a pen at a zoo, majestic and angry (if a little confused). But without feeling that connection integral, in my mind, to both punk and theatre, it was difficult to care. It’s a taste thing, I suppose. Chatting to people afterwards, there were definitely people who really got into it, and I’ve heard from people who’ve seen it before that it’s had a previous tendency to split an audience down the middle. So, pinch of salt and all that, but not my cup of tea. Less is often more I think, and this show could do with less.